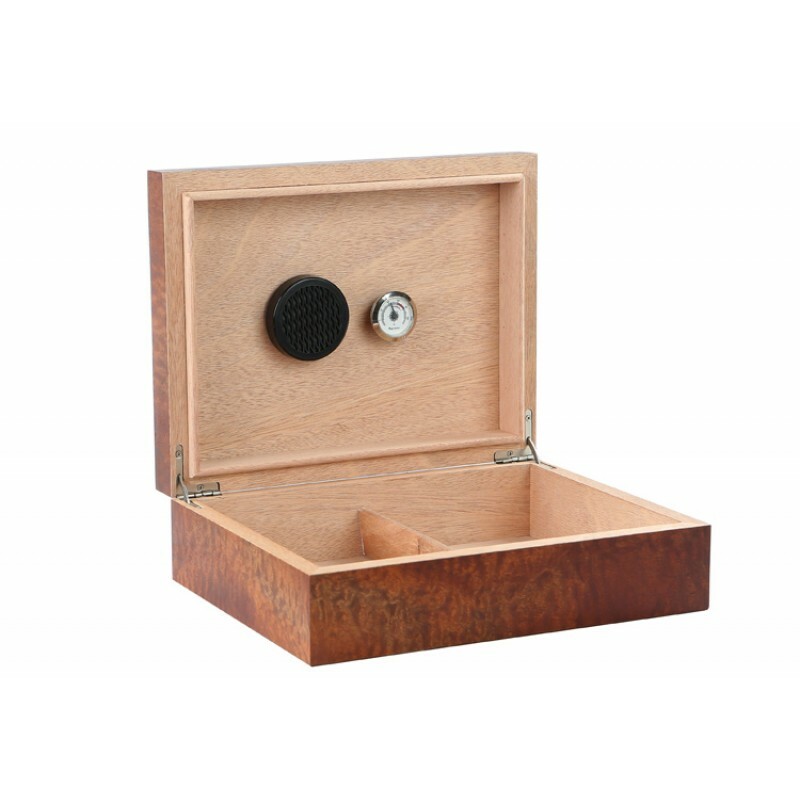 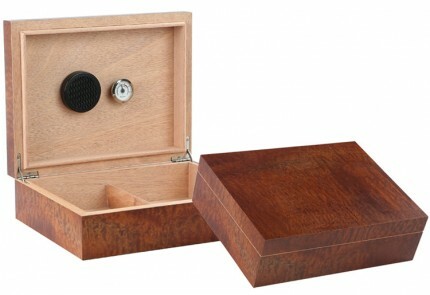 The Vizcaya Makore is a price point humidor crafted with a genuine exotic Makore Pommel wood veneer. 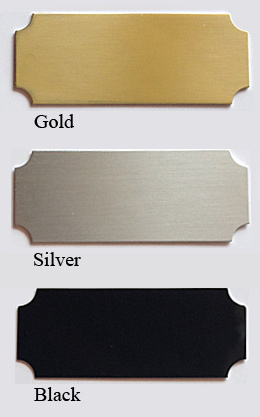 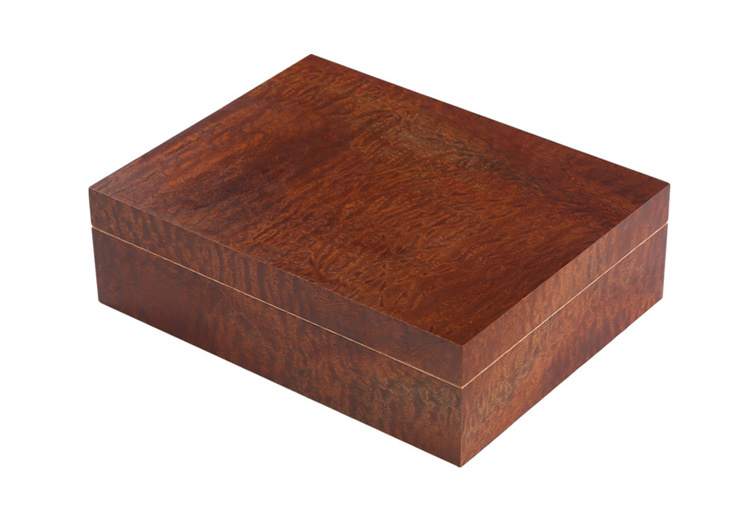 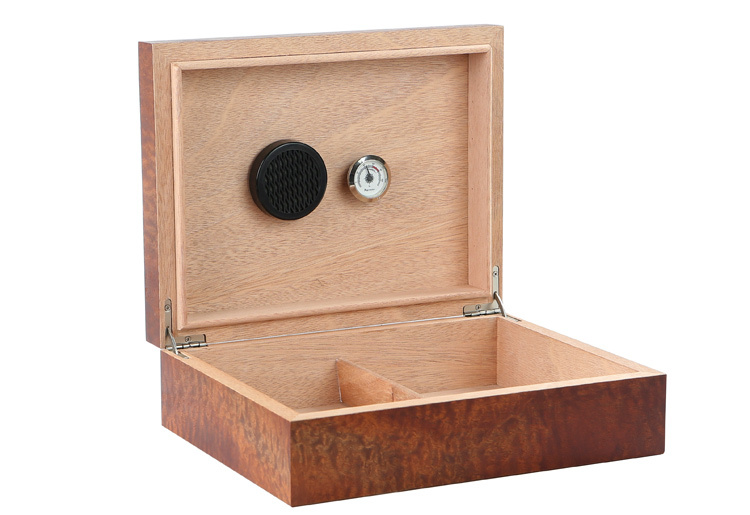 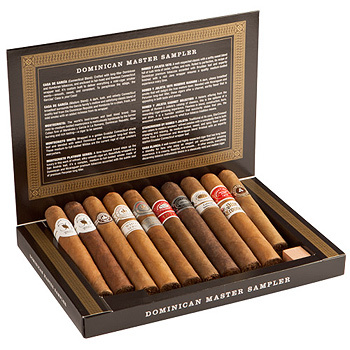 The solid hardwood veneer featured on the Vizcaya line of humidors is commonly found in more expensive boxes. 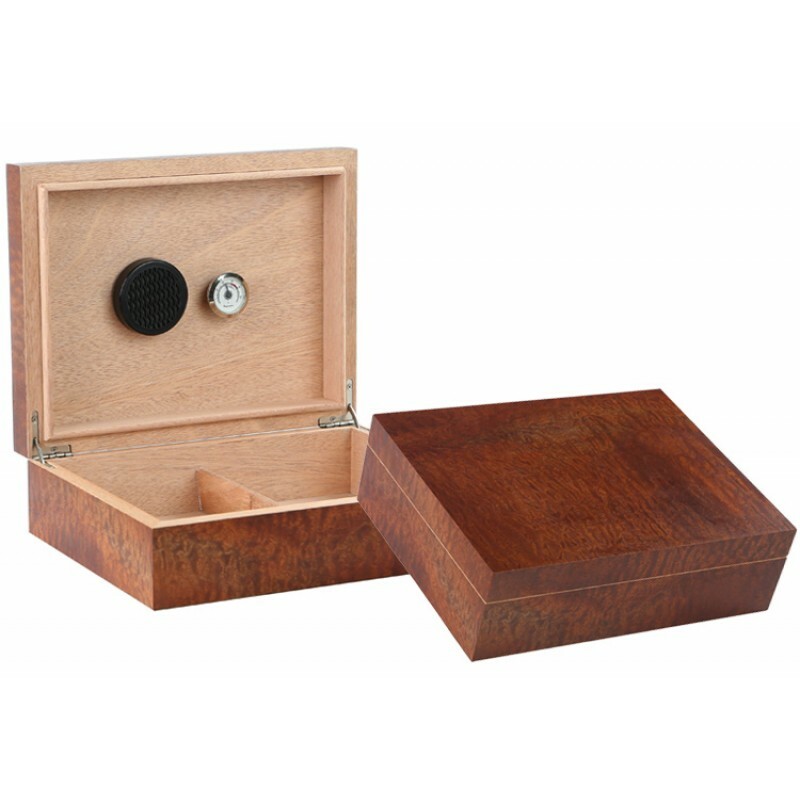 The authentic wood grain appearance, is a special one-of-a-kind characteristic for the discerning smoker. 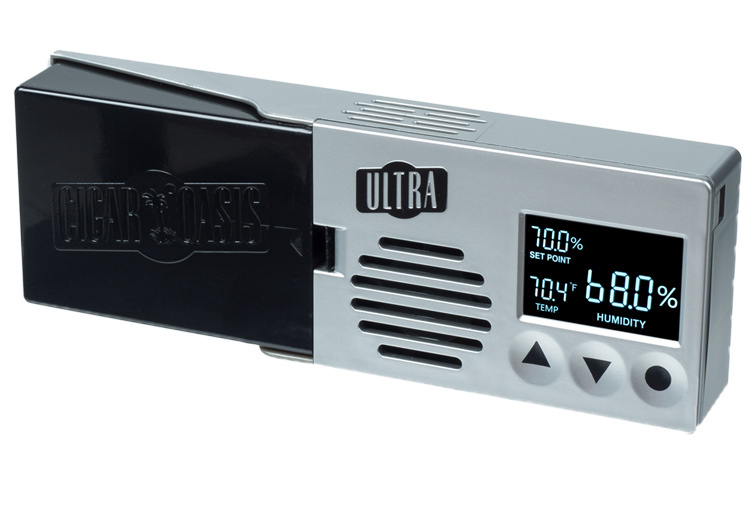 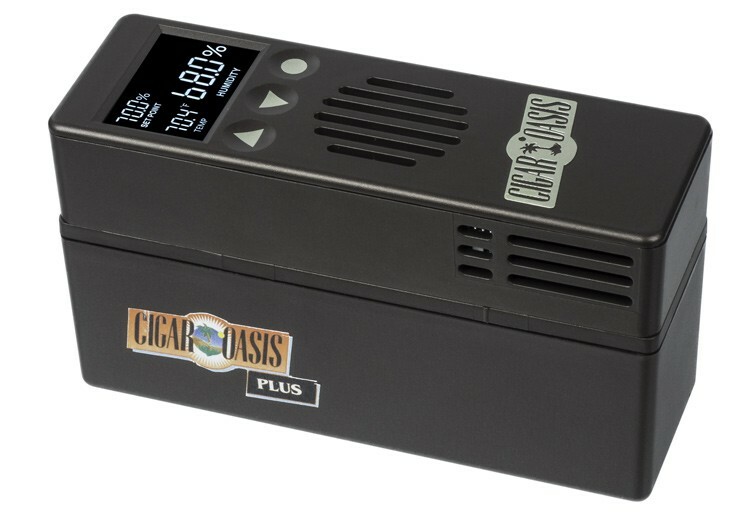 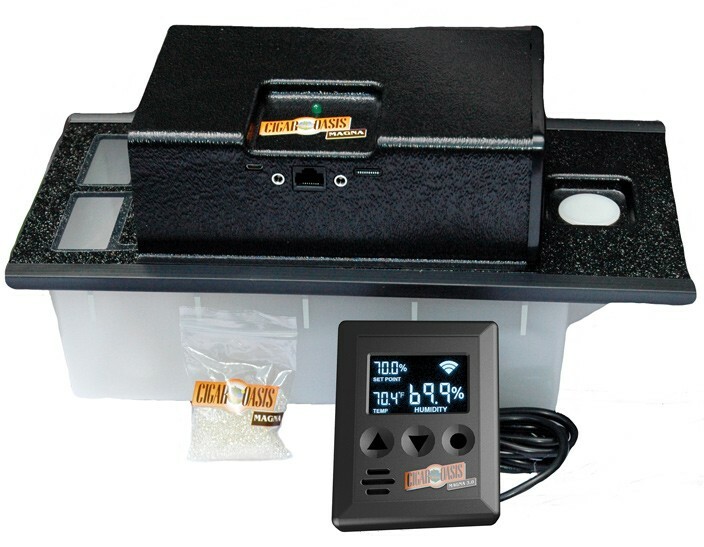 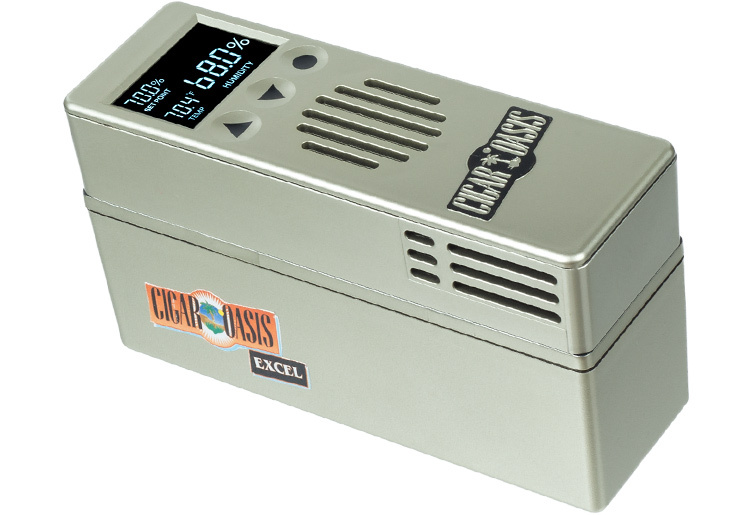 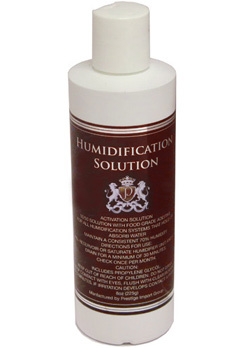 This unit comes with all the accessories to get started including a humidifier, hygrometer and an adjustable divider. 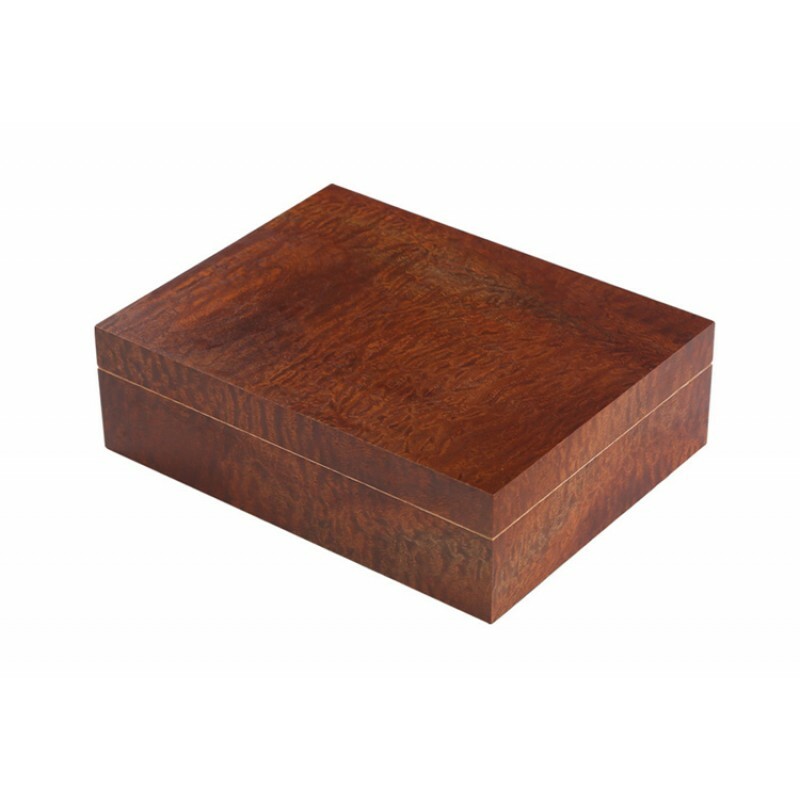 A bold modern design all at a fantastic price.